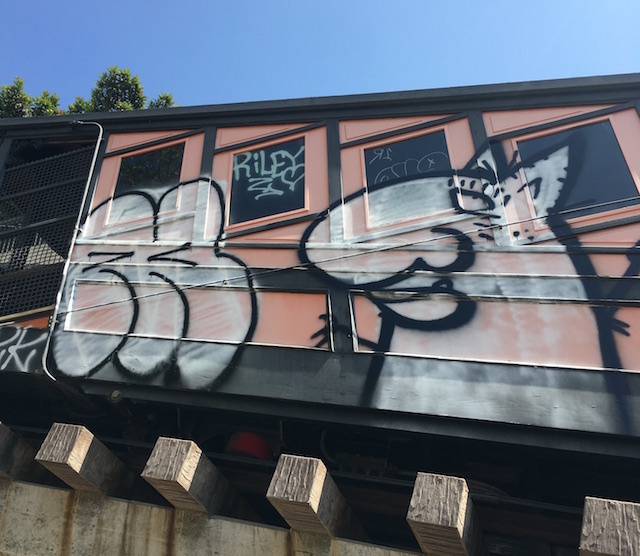 Angels Flight, L.A.&apos;s favorite funicular, has been tagged with graffiti. The Office of Community Beautification, a sub-department in L.A.&apos;s Department of Public Works, said that it wasn&apos;t until Friday morning that someone had called in to report the vandalism. Paul Racs, director of the Office of Community Beautification, said that Angels Flight doesn&apos;t fall under the department&apos;s jurisdiction, as its run by the Angels Flight Railway Foundation, but there&apos;s a good chance that his department will end up cleaning the graffiti. The department sent out a contractor on Friday morning to assess the damage and to come up with a cost assessment. Racs said that his department can&apos;t do anything without the foundation&apos;s consent. "It could be tricky, because any graffiti abatement may tamper with the paint on the car. We may have to use water blasters or chemicals. We may have to paint over it. But, before we do any of that, whoever&apos;s in charge will have to approve it first," said Racs. 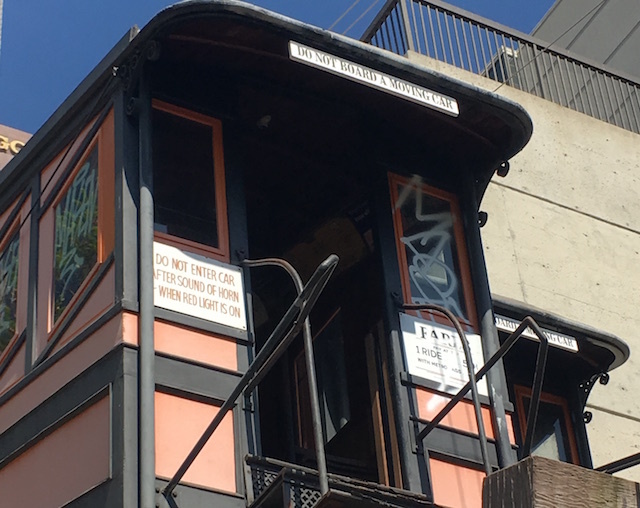 Hal Bastian, president of the Angels Flight Railway Foundation, told Curbed LA that the vandalism is "a tragedy." LAist called the Angels Flight Railway Foundation but no one was immediately available for comment. Angels Flight has been out of commission since a 2013 derailment. While the safety issues have been cleared up, the cars remain idle because of bureaucratic red tape, say L.A. historians Richard Schave and Kim Cooper. In the meanwhile, the foundation has been raising money to cover costs that include a hefty annual insurance premium.